One of the foremost American insurance companies, Aetna's long history shows the strength of the company's values and resources. Aetna's focus is meeting the needs of customers, which means that they are always working to find the best way to serve your international needs. Extensive experience and market accolades are both indicators that you will be given the best service available. Aetna receives global recognition for its laudable employment practices, being one of the premiere American companies dedicated to diversity in the workplace. With a long history of involvement in the community, Aetna is a family-friendly provider that is committed to individuals like you. Aetna was founded in 1850 in Hartford, Connecticut, where the headquarters still remains. The 'Aetna' name was inspired by Mt. Etna, a massive volcano in Europe. The powerful values that inspired this name are still very present at Aetna, as the company is now the United States' largest provider of insurance. The quality of Aetna's plans lives up to such a strong reputation; you can be assured that you will feel secure with Aetna international coverage. Aetna's insurance network of more than 15.7 million medical members and 30,000 employees provides numerous plan options and top-quality service. Aetna's health care network includes more than 783,000 health care professionals, 458,000 primary care doctors and specialists, and 4,681 hospitals. The Aetna online network gives you access to tools and easy-to-understand information that will keep you informed about everything you need to know concerning your health care plan. Aetna's websites were given an award of merit by the World Wide Web Health Awards in 2006. In 2003, a Bronze and a Merit Award were given to Aetna IntelliHealth, the online management site for policyholders. Further, Aetna Navigator won a Silver Award in the Best Interactive Site category (for health plans) at the 2005 eHealthcare Leadership Awards. Accessible online capabilities make it easier for you to manage your care even when you are living outside the United States . From its inception in 1850, Aetna insurance grew quickly; the company's annual income reached $1 million after just 15 years. Aetna went global in 1968 by acquiring an Australian insurance company. Further expanding internationally in 1981, Aetna acquired a share in companies in Chile, England, Spain, Hong Kong, Taiwan, Indonesia and Korea. Aetna opened its first offices in China in 1993 and in Thailand in 1998. Today, Aetna has a strong presence worldwide, anchored by its support back in the United States. 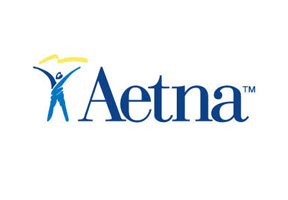 In 1999, Aetna became America 's largest insurer with its $1 billion acquisition of Prudential Health Care. Aetna was ranked second best in the health care category of Fortune magazine's Most Admired Companies list in 2006 and 2007. This shows the level of respect in the field of healthcare attained by Aetna, a reputation that is a reflection of the quality care you receive. To learn more about how an Aetna plan can meet your expatriate insurance needs, contact one of our expert insurance consultants.